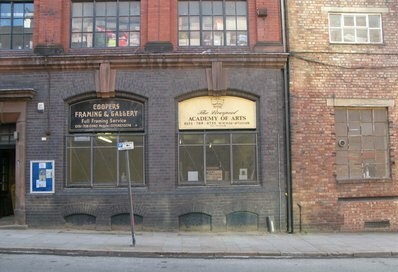 THE LIVERPOOL ACTORS STUDIO 36 Seel Street and how I nearly missed my cue. This faux pas seems all the more regrettable knowing that in my reply to an invitation from Catherine ( who is also the executive director of the Liverpool Actors Studio) I zealously remarked “I’m in there like swimwear.” The swimwear on this occasion it appeared was an unflattering and very snug Borat styled mankini. I could only console myself in the knowledge that I’d at least seen the shows research from some of Catherines comedic and musical back catalogue notably JOKA and UTOPIA both of which hit the mark on all counts although I still needed to atone for my absence . Like most people my age the old chestnut of “If I knew back then………..” becomes a frequent platitude BUT if I’d have known back then on the 30th June that the entrance to THE LIVERPOOL ACTORS STUDIO wa s at CAFE 36 on Seel street (yeah alright I know it seems obvious now) then I’d have seen the show before English Rice Productions take it to Edinburgh. 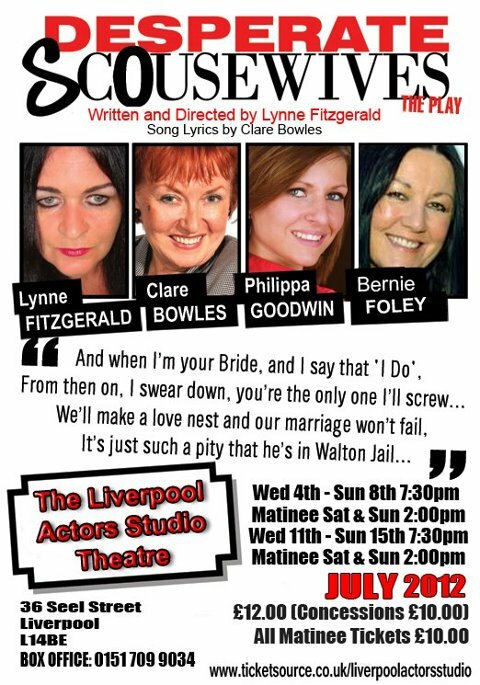 Anyway, as I said before I felt the need to make amends and keen to get my bum on an Actors Studio seat, this Thursday will see me walking up Seel Street, stopping at CAFE 36,entering and watching their production of DESPERATE SCOUSEWIVES the play penned by Lynne Fitzgerald and Clare Bowles, starring Lynne Fitzgerald, Clare Bowles, Phillipa Goodwin and Bernie Foley . This promises to be a cracker. I think on reflection my little Saturday night Mr Magoo episode has reinforced an important point being that one of the intentions of us Cultural Champions is to find these hidden gems and become a part of all they offer and simply spread the word. As an 80 seat Theatre the Liverpool Actors Studio under the patronage of Pauline Daniels answers our city’s artistic need to promote up and coming writers and performers , providing an intimate audience experience and without trying to sound romantic here, an “I was there” afterthought which is always a seductive draw.I’m looking forward to this coming Thursday but I’m hoping this time the mankini stays at home. Very, very good. We really do need to find hidden gems like this. I’d got the entrance totally mixed up with the academy of arts building we went to on lightnight and as that had the shutters down on saturday I thought I’d got my dates all wrong.Doh!